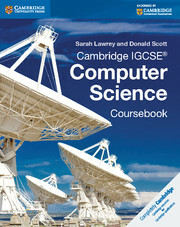 Cambridge IGCSE Computer Science Coursebook is designed to provide up to date and comprehensive material to cover recent developments in computer science. The content has been written by experienced IGCSE teachers and computer science trainers, offering readers support on the theoretical and practical aspects of the course. 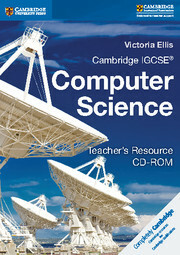 It contains detailed explanations of concepts, with examples and tasks to help students consolidate their skills. Clearly written throughout to give students confidence in understanding complex materials. 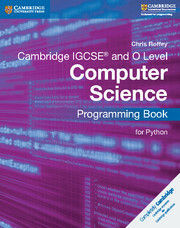 Provides a theoretical approach to problem solving and programming.